I spotted this the other day on the Yahoo News pages. It was photographed by Moira Bagley who works as Communications Director for US Senator Rand Paul. 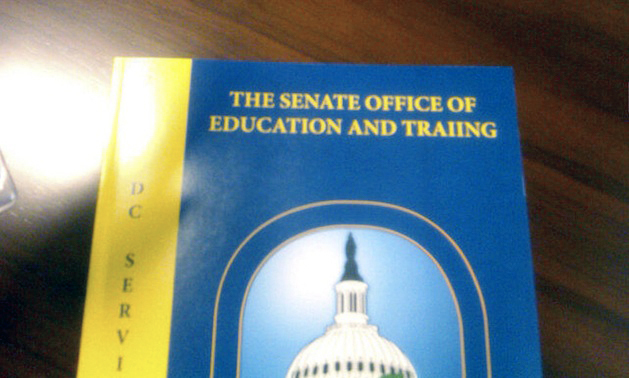 The booklet is a training directory for people working on Capitol Hill. Believe it or not, on Page 13 it informs its readers that there is a class in editing and proofreading.